I can't get enough of these bad boy leggings! 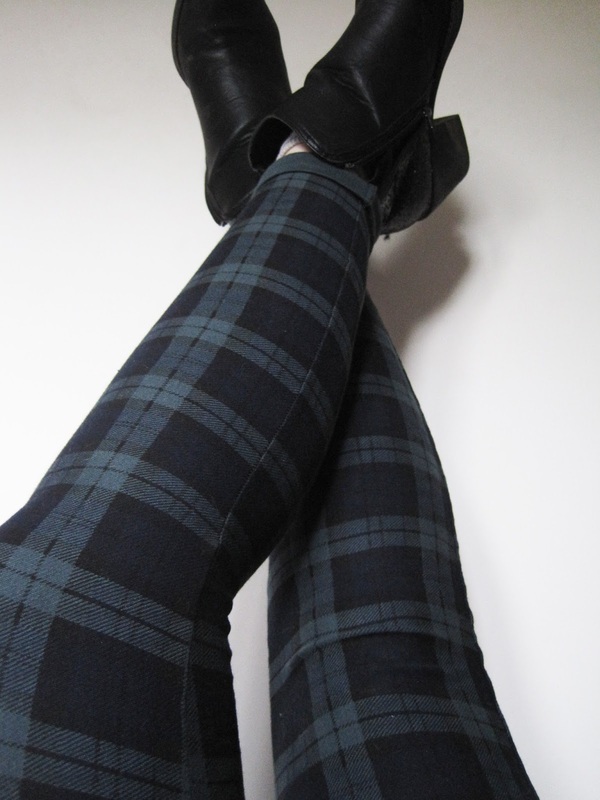 First of all they are made from a tartan patterned material and secondly they are ridiculously comfy in their cotton legging design. 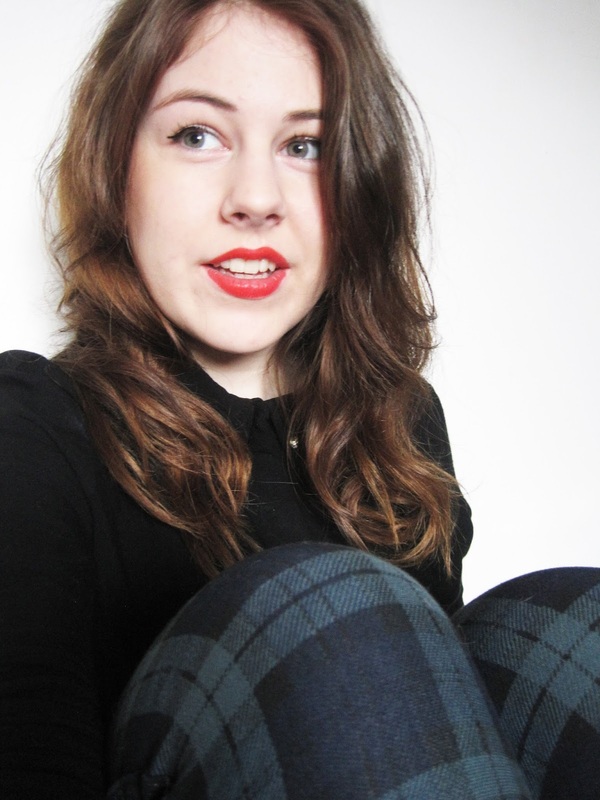 Why would you not want tartan leggings in your life?! I have rediscovered a classic black blouse lurking in a dark corner of my wardrobe and decided it would go perfectly with my leggings. The blouse has jeweled detailing to the collars, which I think is such a lovely touch and replaces any need for accessorizing if wished. It's also not too much that it would take over the collar and end up looking a little tacky, which really emphasizes the saying 'simplicity is key'. 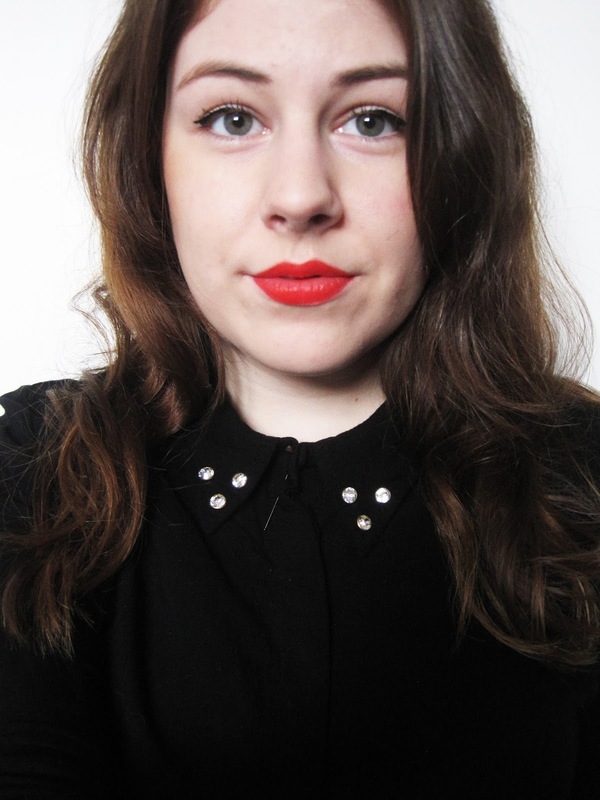 I'm desperate for a bright orange colour lipstick but yet unsuccessful for making such a purchase. I recently purchased this Rimmel London (In Love With Ginger) lipstick believing this would be my heaven sent vibrant orange shade. Sadly not, it was more of a pinky colour once applied to my lips rather than when I spent a vast amount of time smudging the tester on the back of my hand and reassuring myself this was definitely an orange shade. However, I'm still loving this pinky shade?! It's very similar to a lot of the lipstick's I own as I'm a very rose/red kind of girl when it comes to lip paint, which is probably why I have habit of buying the exact same shades.. just with different packaging.